France Trampoline provides a range of hooks for setting up your rail nets and deck netting. For indoor and outdoor use, these A4 stainless steel hook eye plates have been designed to make guardrails and railing installation easier. 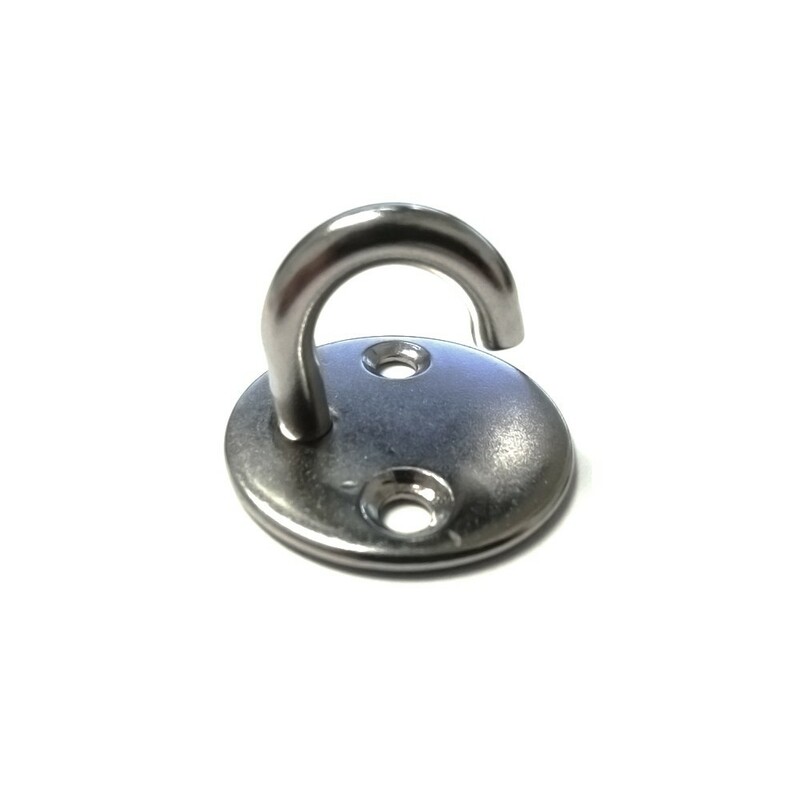 - Our stainless steel hook eye plates will allow you to attach your deck netting with or without a bolt rope*. - The eye plate is polished to avoid damaging the net. 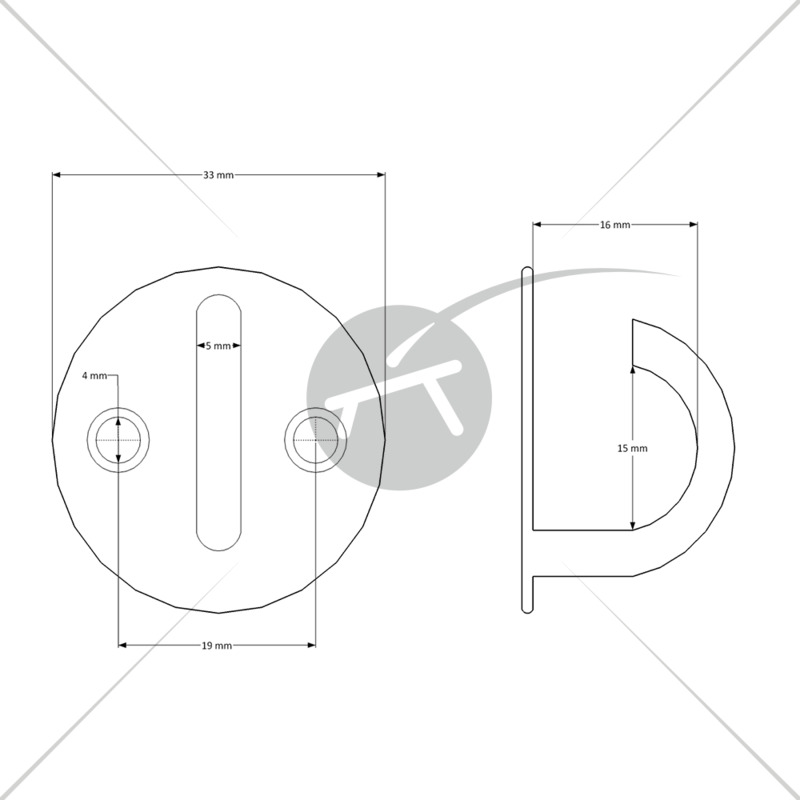 - The hook eye plate is easy to insert into wood thanks to the 2 screws provided with the plate. - The hook eye plate is also compatible with the lacing method we recommend with the tension rope. The tension rope will form a zig zag between the bolt rope of your net and the hook on your supporting frame. - The opening of the hook is a practical aspect if you wish to easily remove your deck netting or rail net. - The hook eye plate is recommended for all vertically placed net requests. You can also order them directly for this page. *The bolt rope is a reinforced rope of 10 mm, sewn around the netting, allowing easier distribution of weight once the net is in place.